For many years millions of Papua New Guinea's monies have been lost through investment overseas. And they have been left unattended. As revealed by Task Force Sweep according to an article by Kela Kapkora on PNG Attitude some K200 million of Papua New Guinea’s money has been invested in Australia by fat cats through corruption and money laundering. It further stated that 67 people have been arrested so far by Sam Koim (inserted) and Task Force Sweep (TFS) and K170 million has been recovered in PNG and up north. Now some people (especially their 'wantoks') are crying out loud through some media that TFS is putting every Papua New Guineans investing in Australia into same bucket when they are not supposed to be victimized. They use internet access to defend their friends on different websites and PNG's local newspapers. Since investigations into those investments started, many of these investors are named and the cases are before the court. The investigations are aided by the Australian Federal Police into assets and bank accounts in Australia. Thanks to federal police and the government of Australia. Those Papua New Guineans should simply leave this country for Aussie or elsewhere. They can't even appreciate the role of TFS like millions of Papua New Guineans and the neighbouring countries do. France will now be confident of reaching the quarter-finals, with three teams progressing from a group that also contains holders New Zealand and Samoa. 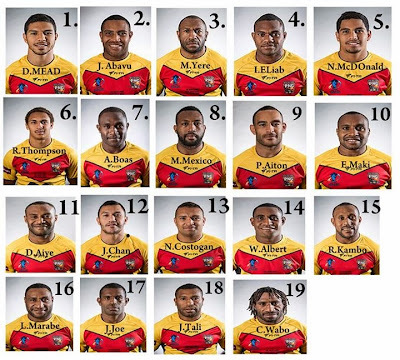 The French squad, ranked fourth in the world, is predominantly made up of Catalan Dragons players, with of 11 of the starting 13 coming from the Super League side, and it was Bosc who squirmed his way over the line from Eloi Pelissier's pass for the opening try, and the scorer added the conversion. Papua New Guinea, the only country in the world that has rugby league as its national sport, were playing some expansive rugby in blustery conditions and grabbed their first try through McDonald after consultation with the video referee. Salford's Theo Fages had a try ruled out for France because of double movement, as his side went in at the interval with a narrow 6-4 lead. 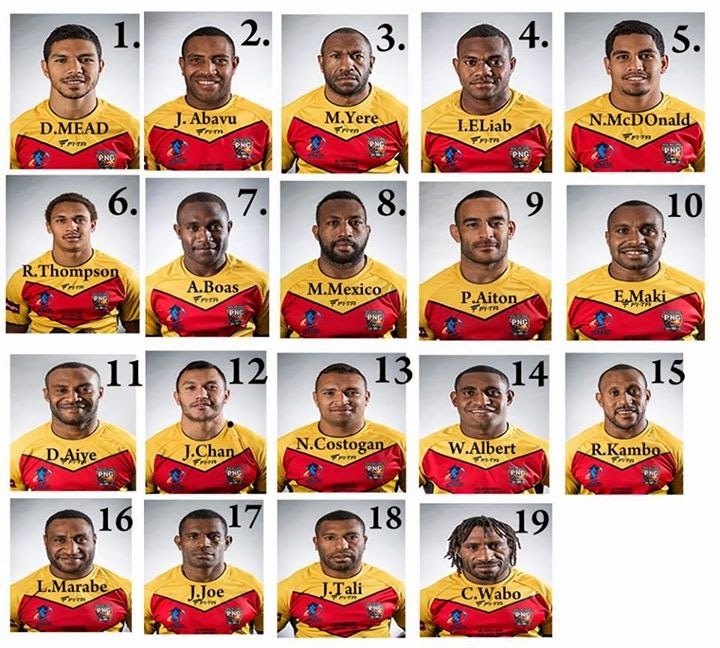 The Kumuls, ranked sixth in the world, went ahead immediately after half-time, forcing a French error before Abavu scored in the corner following a well-constructed move. Managed by former Wigan half-back Adrian Lam, Papua New Guinea were on top in the second period but were unable to convert their pressure into points. A penalty from Bosc allowed France to draw level with 20 minutes to go, and Barthau's one-pointer on 65 minutes edged Richard Agar's side ahead. The Pacific nation could have won it with three minutes to go but Mead - who failed with all three kicks at goal - missed a penalty attempt from 25 metres out. Prominent lawyer Paul Paraka has been arrested and charged by police and the Task Force Sweep yesterday over fraud allegations involving senor ministers of the O'Neil Government. The principal of one of the country’s most prominent law firms, Paul Paraka Lawyers, which consists of 22 established branches around the country, was charged for multiple counts of fraud following months of investigations by Task Force Sweep. The investigations were conducted into the law firm upon directions by Prime Minister Peter O’Neill on May 13 this year. Mr Paraka was interviewed and charged with a total of 18 counts relating to an amount of K71.8 million. He was charged with five counts of conspiracy to defraud under section 407(1)(b) of the Criminal Code Act, nine courts of stealing by false pretence under section 404(1)(a), two counts of money laundering under section 34(2)(a) and two counts of misappropriation under section 383(1)(a) of the Criminal Code Act. Police said Mr Paraka was arrested in a dawn raid at Gavuone village, Kupiano, Central Province (about two and half hours drive from Port Moresby.).. The Enga provincial government has announced the transfer of the Wabag Provincial Hospital to the former Seventh-Day Adventist Church-run health facility at Sopas. Enga Governor Peter Ipatas told hospital staff and villagers after meeting with the provincial management teamand provincial executive council members last Friday that his government had made the decision to make way for the new hospital to be built at Aipus, near Wabag. He said Sopas, where the Enga Nursing School would have its first intake of 40 students starting next year, would remain a district hospital for Wabag. The new 150-bed hospital construction will start next year and cost more than K320 million to be delivered for opening in 2015, Ipatas said. He said an American hospital designing and building consultant company would present the final touches on the plan to stakeholders next month. He said according to plan, the new hospital would become a regional referral medical facility for the Highlands, including the gas-rich provinces of Hela and Southern Highlands. Ipatas said the provincial hospital site would be turned into a commercial area, with the building of two warehouses and a number of supermarkets. Ipatas thanked the O’Neill Government for approving funding for the new hospital, particularly when health services in the country needed critical attention. It is understood Ipatas and Prime Minister Peter O’Neill will travel to China to secure a loan for the hospital project next month.